Today was the first day of the 2017 expedition, one of the most physically demanding stages of the project. 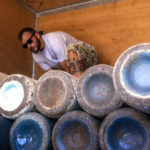 Around ten tonnes of equipment and supplies were unloaded and readied for usage. 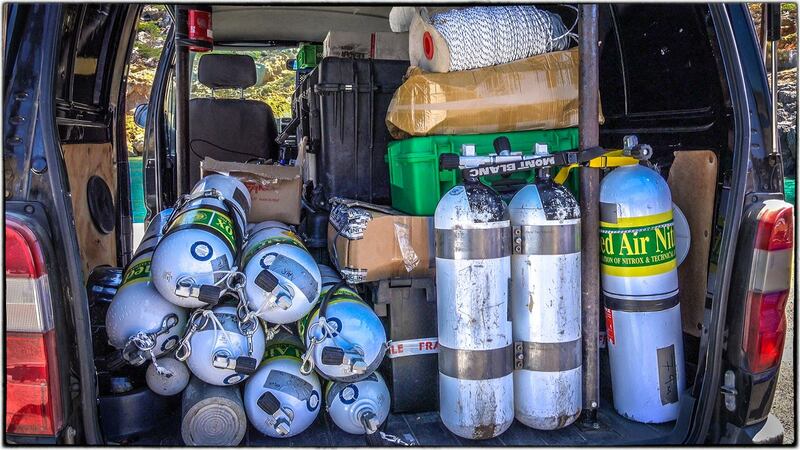 The team split into three, setting up the mess area for the next three weeks, building the gas station to fill SCUBA cylinders, unloading the dive boats and preparing dive equipment. 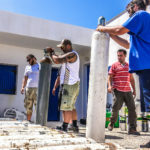 There is only limited infrastructure on the island, meaning that almost everything has to be shipped in and set up each time. 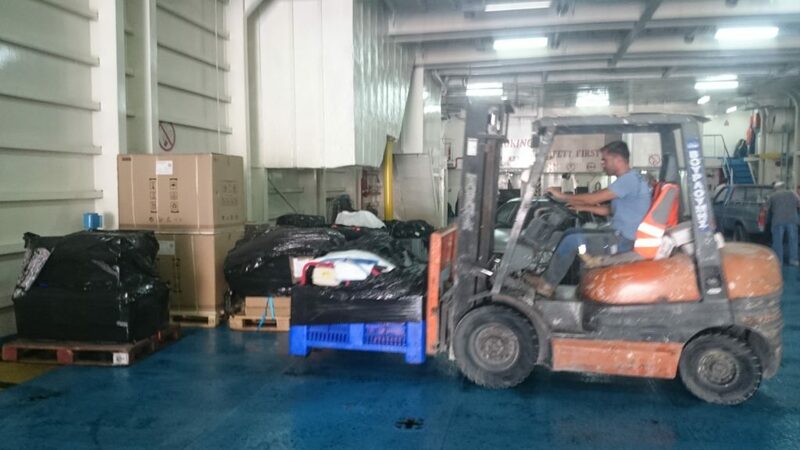 Michalis Protopsaltis helped the team by providing a forklift and driver from Kythera to unload pallets from the ferry. We would have been in serious trouble without such a tool. 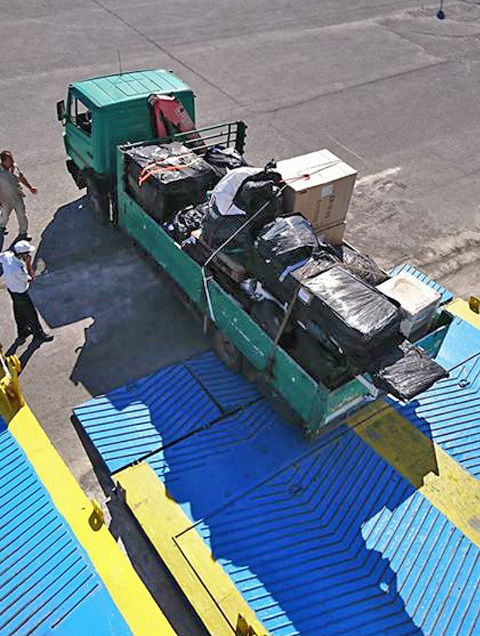 This entire truck load of equipment came from Athens and was loaded onto the ferry in Kythera. 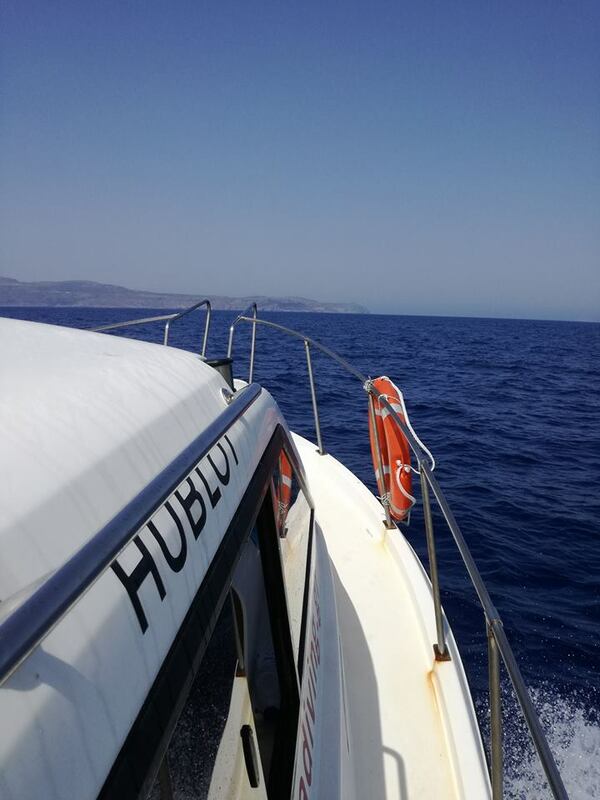 Team members have been arriving from around the world, with; Theotokis Theodoulou, Nikolas Giannoulakis, Mihalis Kelaidis, Phil Short and Gemma Smith making the transit from Chania to Antikythera aboard diving support vessel “Nikolas”. 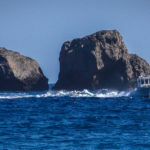 The transit from Chania in Crete to Antikythera. 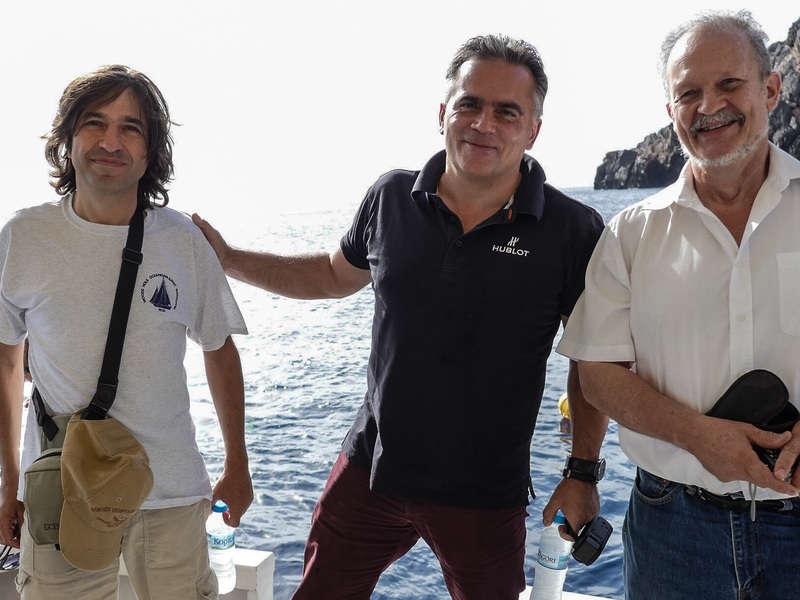 Alexander Sotiriou and Dimitrios Romios made the transit to Antikythera from Alimos on diving support vessel “Poseidon”, collecting John Fardoulis from Kythera on the way. Diving support vessel “Poseidon” stopping off in Diakofti, Kythera on the way. 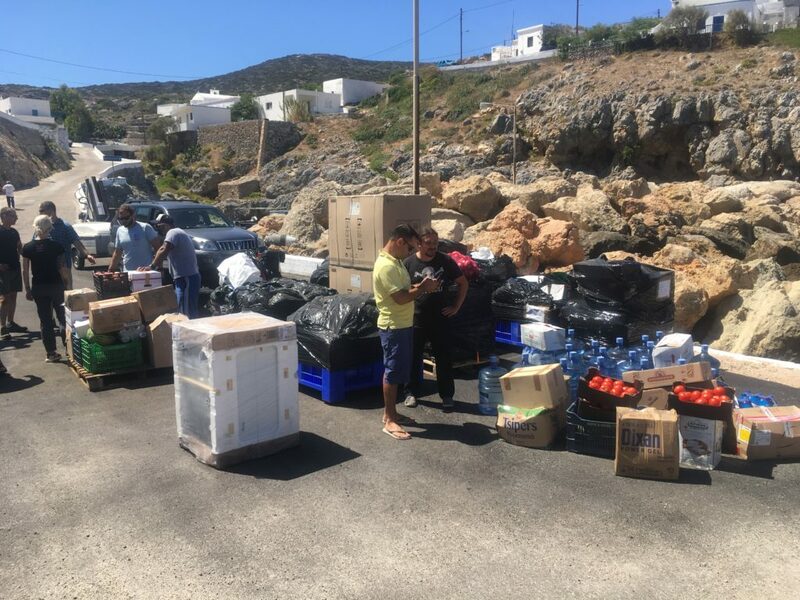 Brendan Foley, Alex Tourtas, Michael Tsimperopoulos, Paolo Iglic, Ilias Charalampous and Dimitra Kotsi arrived on the ferry from Neapolis, with four heavily laden vehicles and thirteen pallets of equipment and supplies. 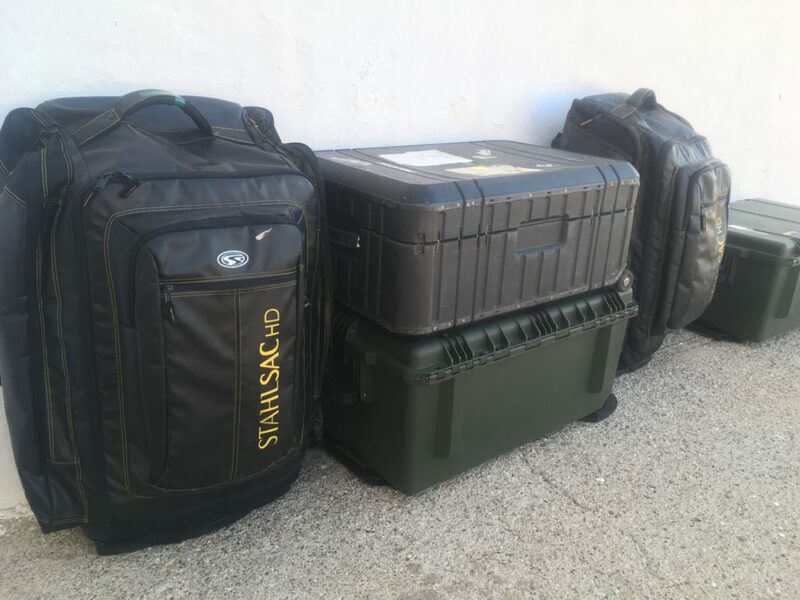 Tonnes of equipment and supplies shipped in for the three-week duration of the expedition. All hands required to help unload and set up. 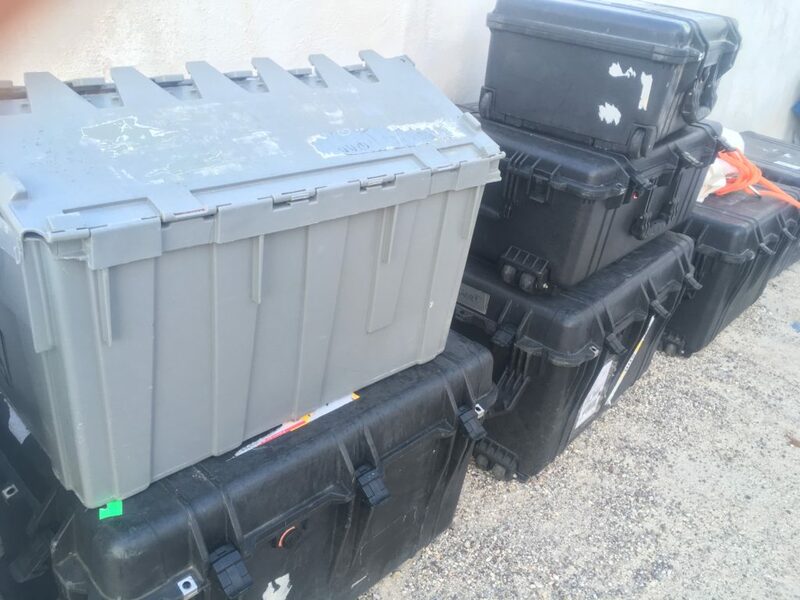 Boxes containing dry suits, and soft equipment need to be unpacked. 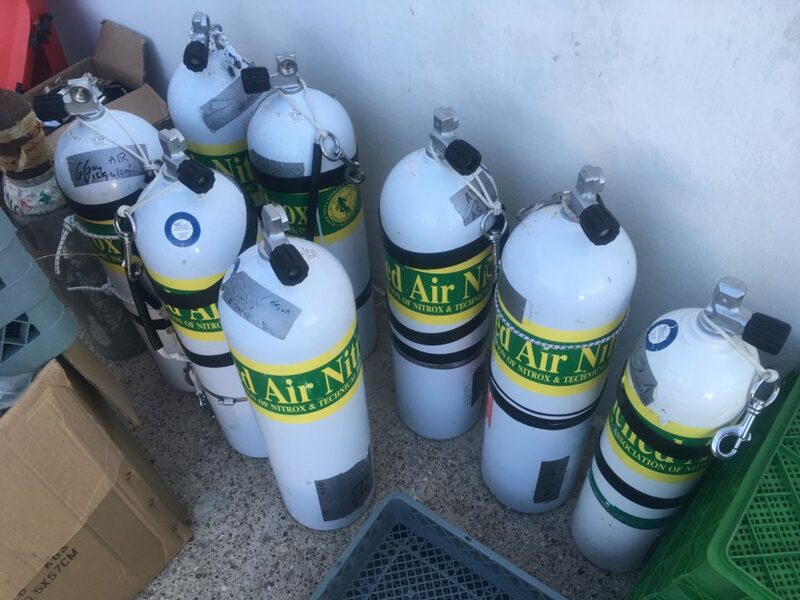 Photographic equipment, spare parts and more dive gear. 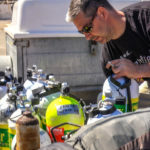 Dive cylinders to be filled. 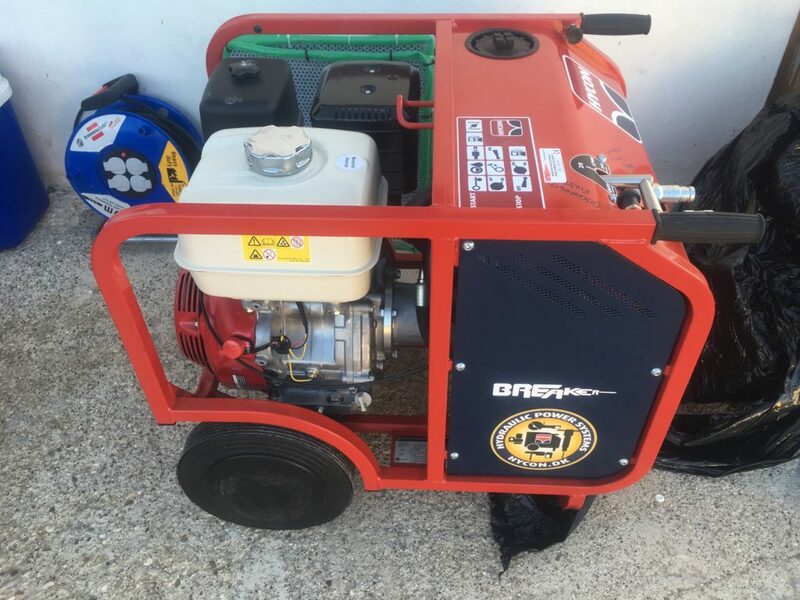 Pumps and other excavation equipment. 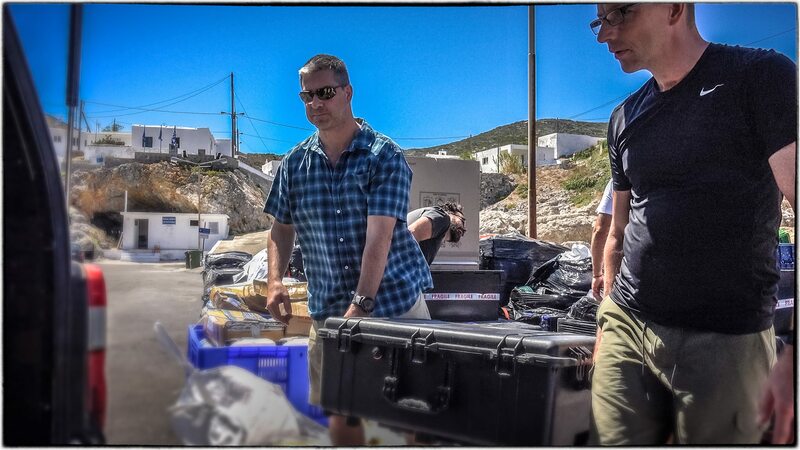 Vans, SUVs & trailers transported to Antikythera for the expedition. Modern science is helping us better understand the past, with new technologies and techniques complimenting standard archaeological methods in piecing together what actually happened 2000+ years ago. Much like how modern forensics help police with investigations. 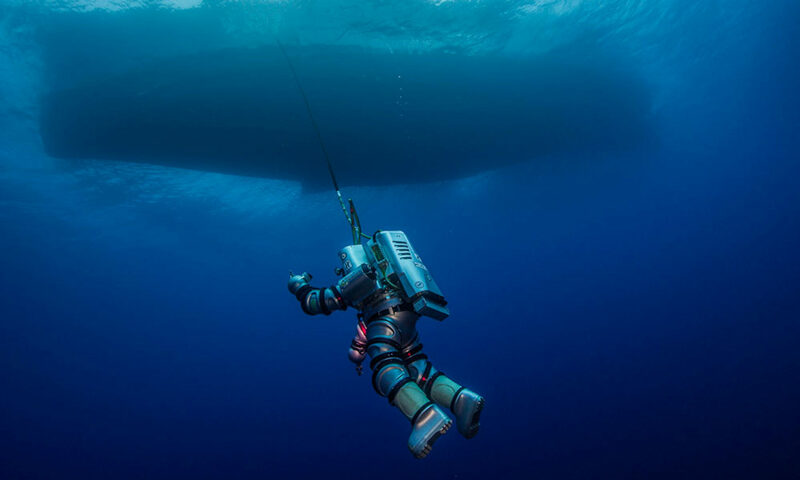 DNA testing, 3D reconstruction and isotopic analysis are three different techniques used by the Return to Antikythera Project, which we’ll talk about in more detail shortly. 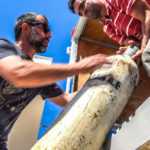 Artefacts are often fragile, so where possible a 3D model is constructed both in situ underwater and after an object has been recovered from the shipwreck. Here’s a 3D model of a hand from a marble statue found during the spring fieldwork season. This is an example of an artefact that is badly eroded, making it difficult to say what the rest of the statue looked like, hence the development of an initiative called 3D Antiquity. 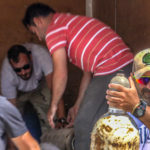 The idea is to 3D-model thousands of ancient sculptures accurately and precisely, then compare them against the eroded and unrecognizable Antikythera marble statues, in the hope of identifying them. We’d like to thank software vendor Autodesk for assisting the project with their ReMake software for 3D reconstructions. 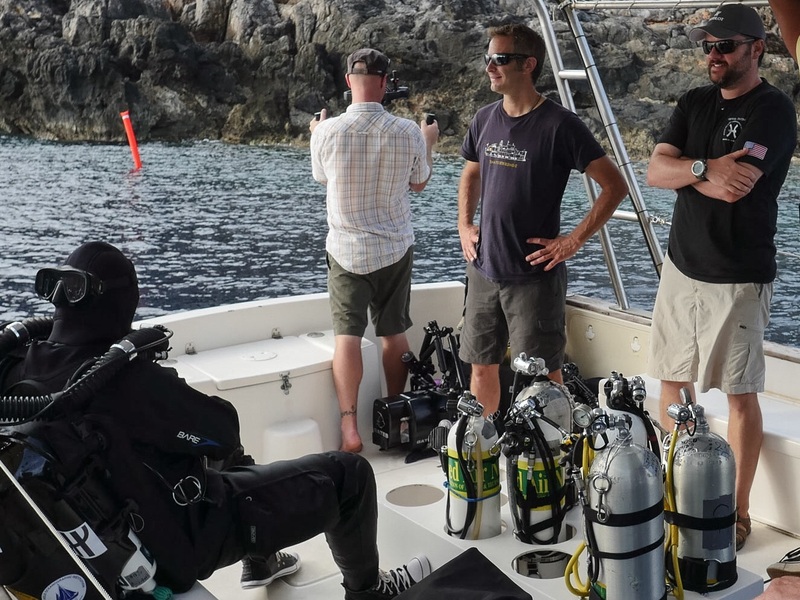 The latest in diving technology also allows the team to work safer and for longer periods of time, which is important in such a difficult location. 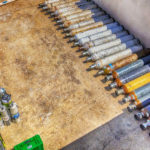 Here’s a number of images from over the last week. 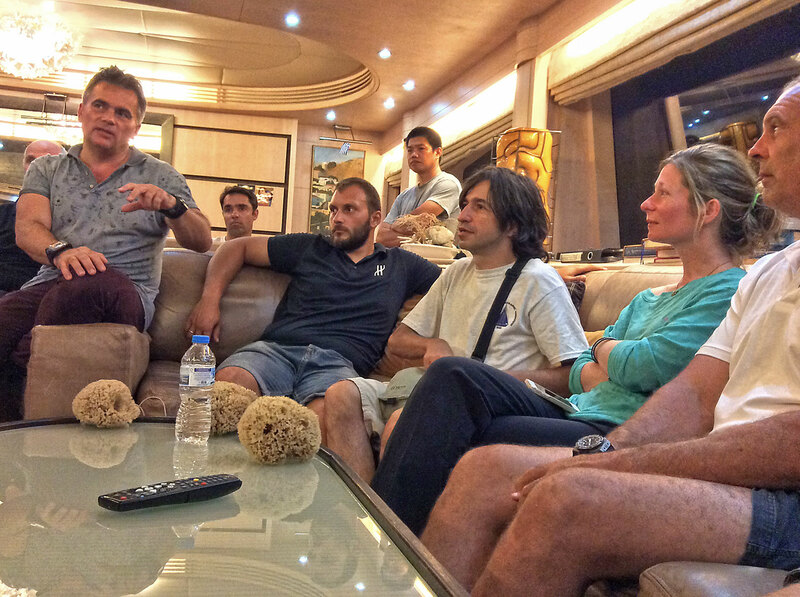 The team is arriving in Antikythera from around the world at the moment, for the 2016 summer expedition on the shipwreck, which commences this week. 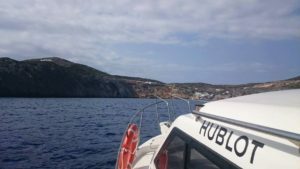 The MV Poseidon dive vessel stopped off briefly at Diakofti, Kythera en route this morning, to pick up Michel and Christine from Hublot who are spending time with the team in Antikythera. 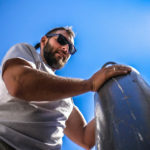 Michel is one of the people responsible for bringing the Bubblot, underwater drone to life. 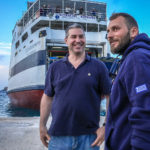 Alexander and Dimitris, having a 10 minute break in Kythera, before continuing the final leg of their maritime journey to Antikythera. Michel, checking out another shipwreck on the way, the MV Nordland. 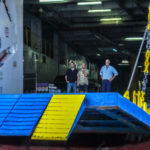 Here’s a brief video of MV Poseidon arriving at the dock. The following text and photos were post by Tina Tavridou on her Facebook profile. We reproduce it here with her permission, since we think that people on the island is what matter the most. Looking forward to meet them all again in August and September! “The most important things are having a doctor and the ferry”. Wish: “That the island came alive, that we had more people”. Spent a month on the island hunting insects for a university disseration, I didn’t ask her for a wish since she is not local, just posting her photo because she is so lovely and everyone on the island will remember her and her butterfly net! Wish: “That there is transportation. And that we become volunteers in our own town otherwise there is no moving forward. To clean the street, the trail, to cut a branch that is sticking out, not to sit and wait for everything to be done by the state”. 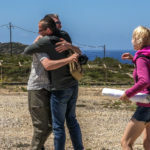 Recap of our first week at Antikythera: on Wednesday, the team was completed with the last arrivals; diving operations manager Phil Short and chief diver Gemma Smith flew in via helicopter, and were warmly greeted. 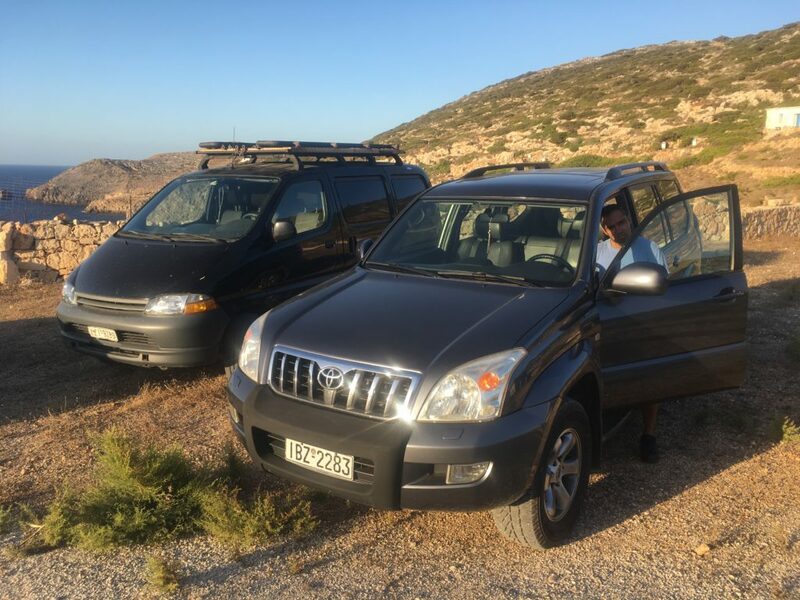 Thanks to our friends at Costa Navarino Resort for delivering essential personnel in such style! 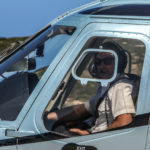 The Costa-Navarino helicopter pilot prepares for take off. 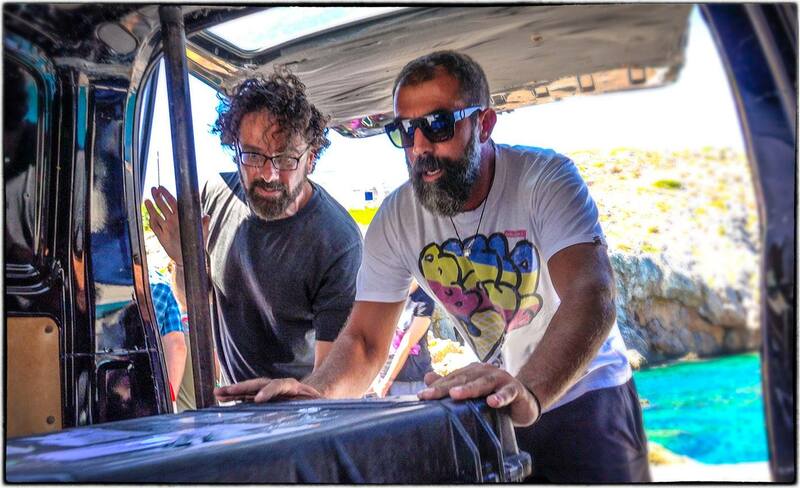 Brendan Foley welcomes Phil Short and Gemma Smith on the island. 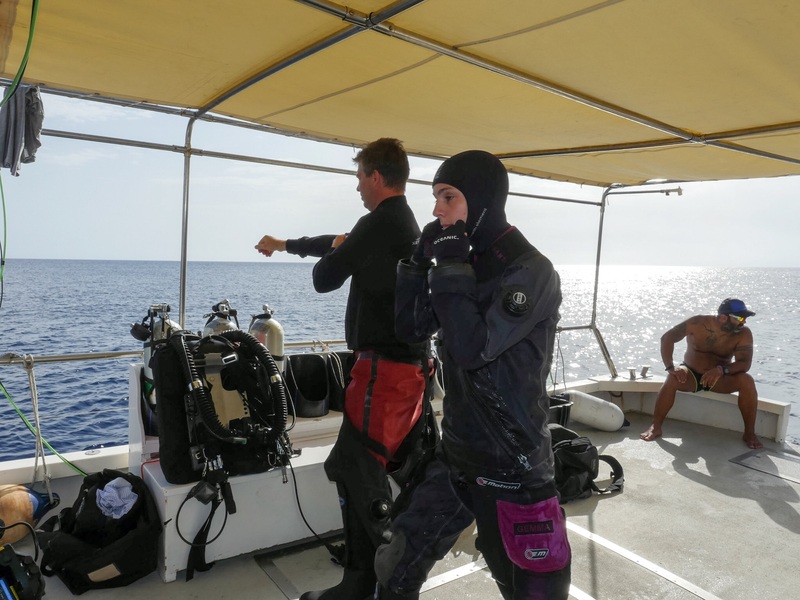 On Thursday, we conducted the first dive of the season on the Antikythera shipwreck site. 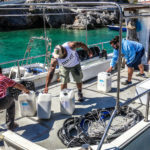 We recovered artifacts we left positioned from last season, set the mooring lines and conducted a general site inspection which showed no evident interference. 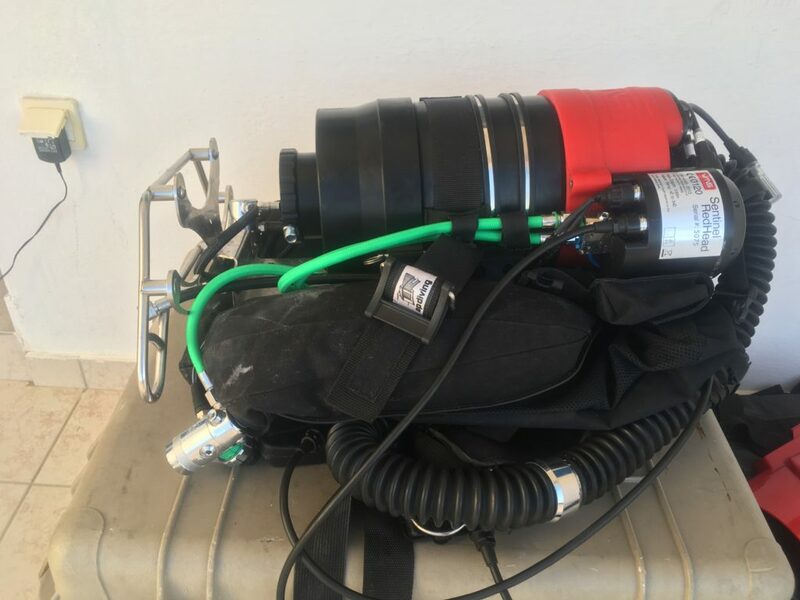 The good weather conditions from Friday and during the weekend allowed more dives and some targeted metal detection with a brand new device specially designed for the site. More to come, stay tuned! 2016 diving season is starting. 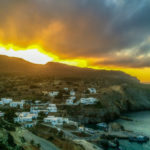 By Thursday, the whole team will be at Antikythera. The weather is improving. Check-out dives on Tuesday, dives on the wreck as soon as possible. We’re working at maximum capacity today, the first four teams are in the water, with the fifth team dropping in now. The ROV is keeping an eye on things, providing a live view from the surface which helps better synchronise the process. 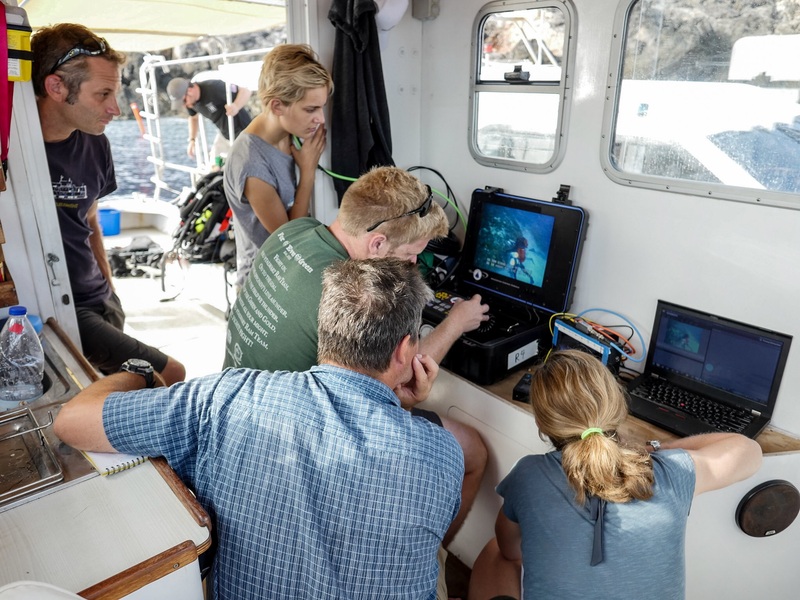 The ROV provides a live view of operations. Special guests! Yanis Bitsakis with Mathias Buttet and Michel Blumenthal from Hublot R&D. Brendan Foley and Gemma Smith are the fifth team to drop in today. 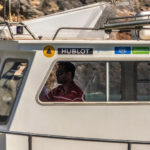 Mathias Buttet, Director of R&D at Hublot, and designer of the Antikythera Mechanism watch arrived in Antikythera today, perfect timing to observe the excavation in top gear over the next few days. 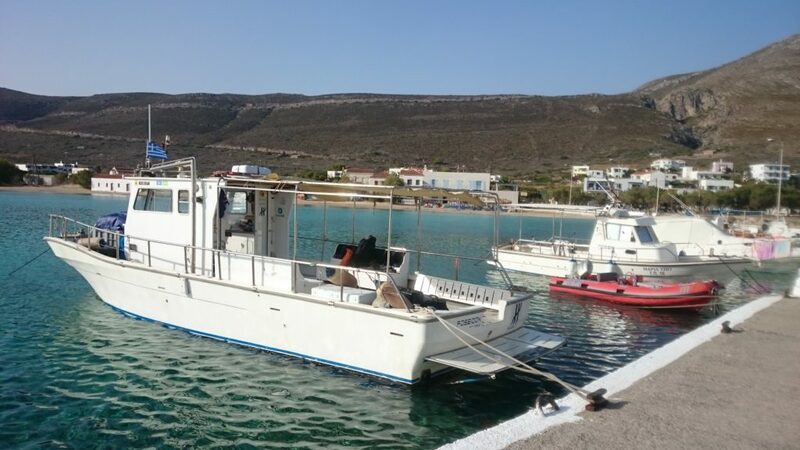 Another interesting arrival was a caïque with Kalymnian sponge divers on board, who will be diving for sponges in the area this week. 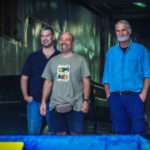 It was quite nostalgic talking to the guys, who have a similar vessel and use similar techniques to the sponge divers who originally found the Antikythera shipwreck in 1900. Luxury watch maker HUBLOT is a major sponsor of the Return to Antikythera project and their support is greatly appreciated. Mathias Buttet being briefed on progress so far. 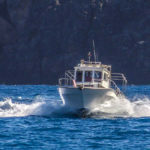 The sponge diving boat from Kalymnos. 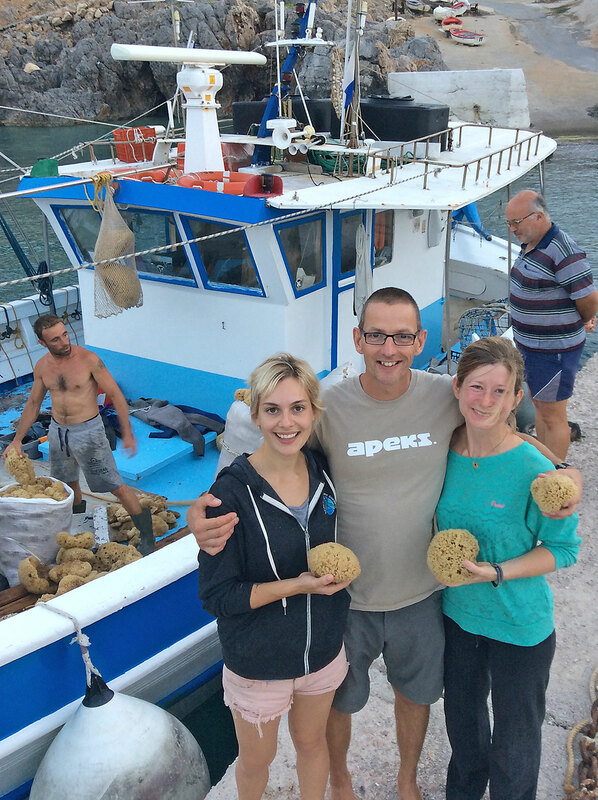 Gemma Smith, Phil Short & Jo Marchant had a great time talking to the sponge divers. 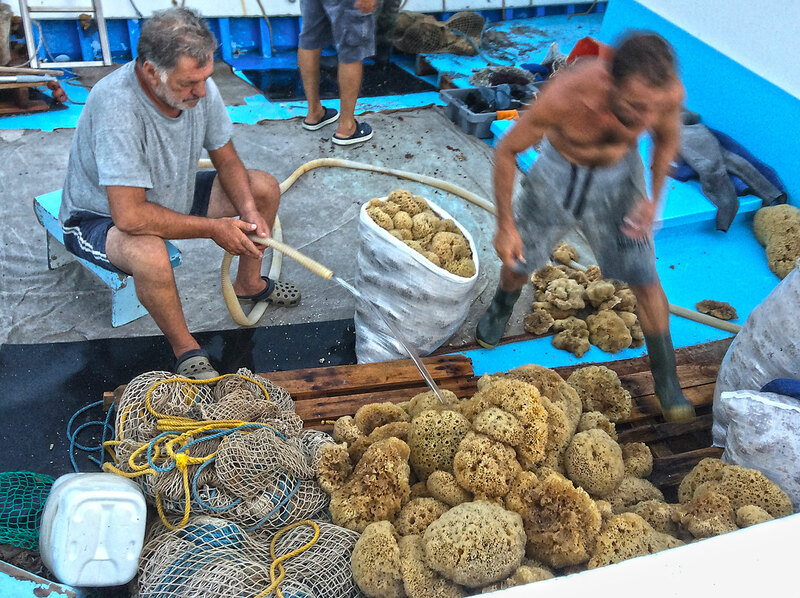 The whole dive team was excited about sponge diving techniques of the past. 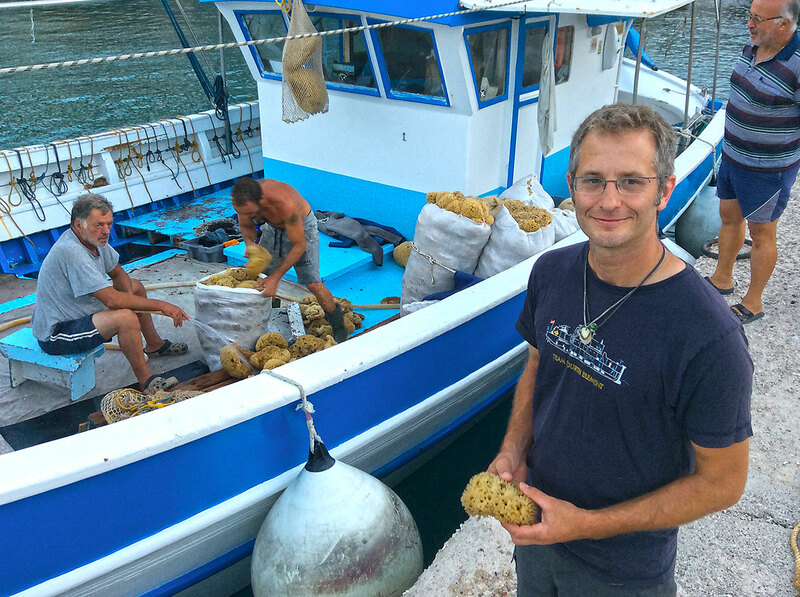 Here’s Evan Kovacs with a locally harvested sponge to take back to the USA as a present.